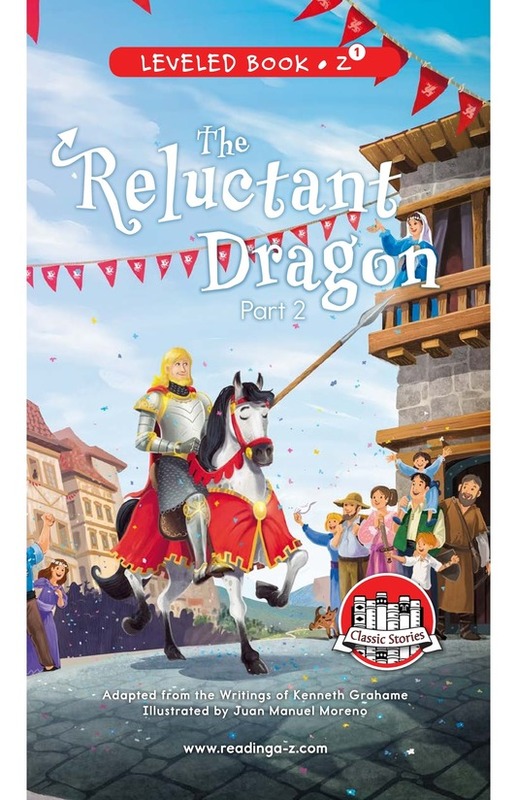 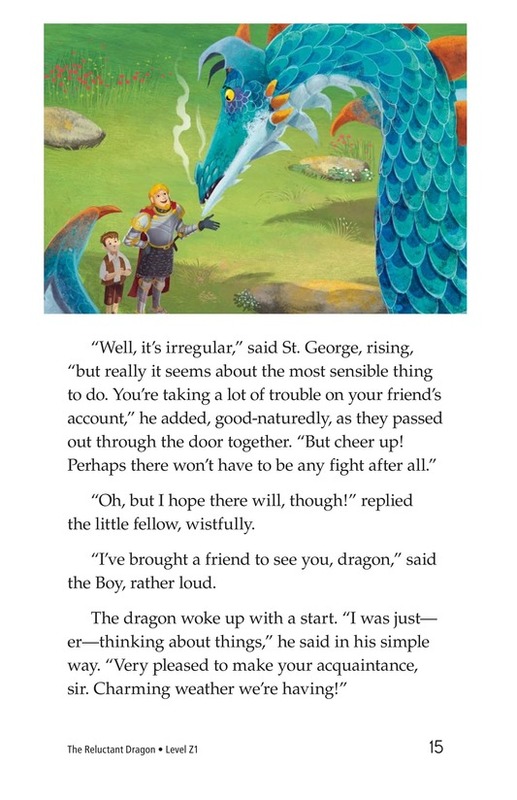 The villagers find out about the dragon living nearby and call on St. George to slay the beast. 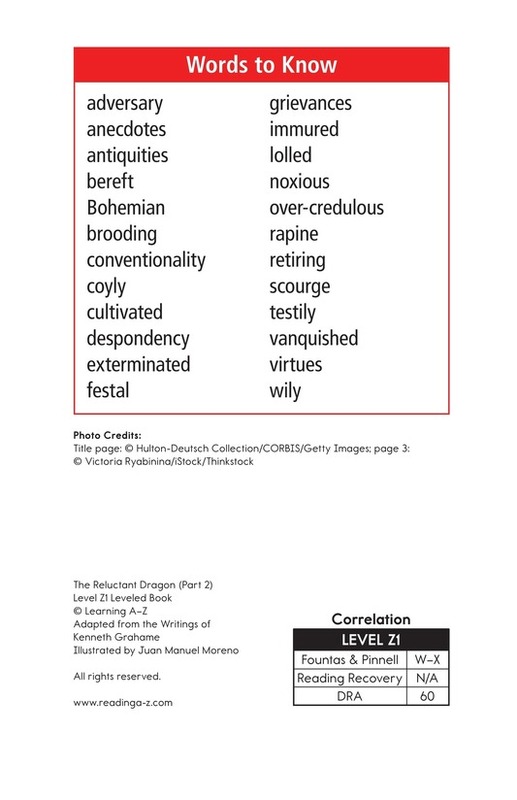 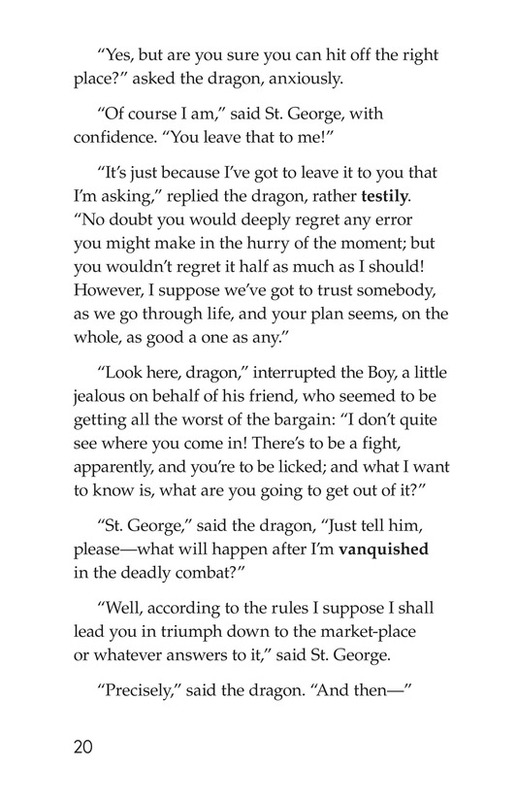 The young boy warns the dragon, but the dragon refuses to fight. 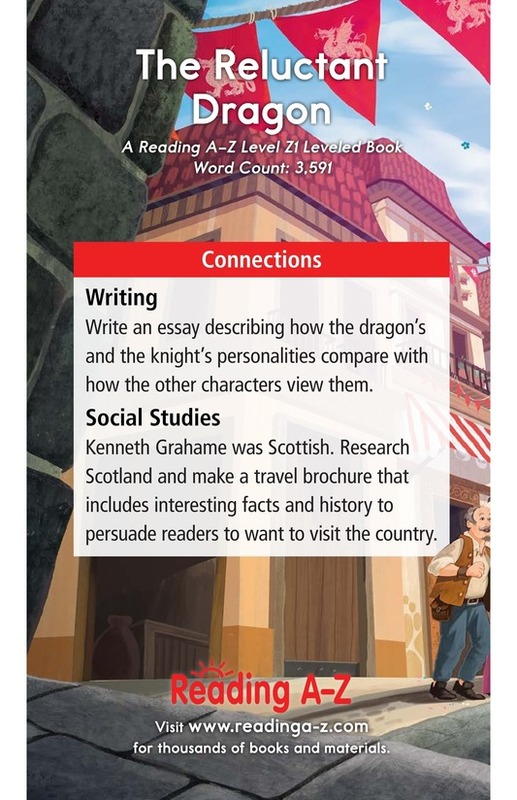 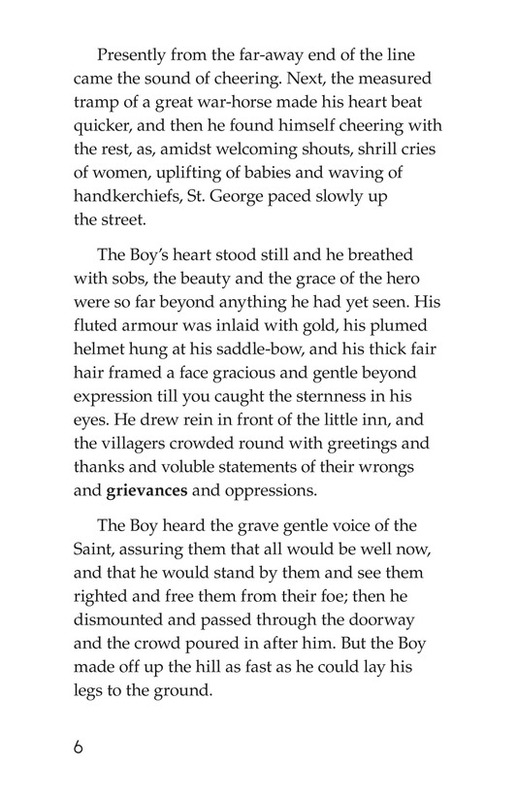 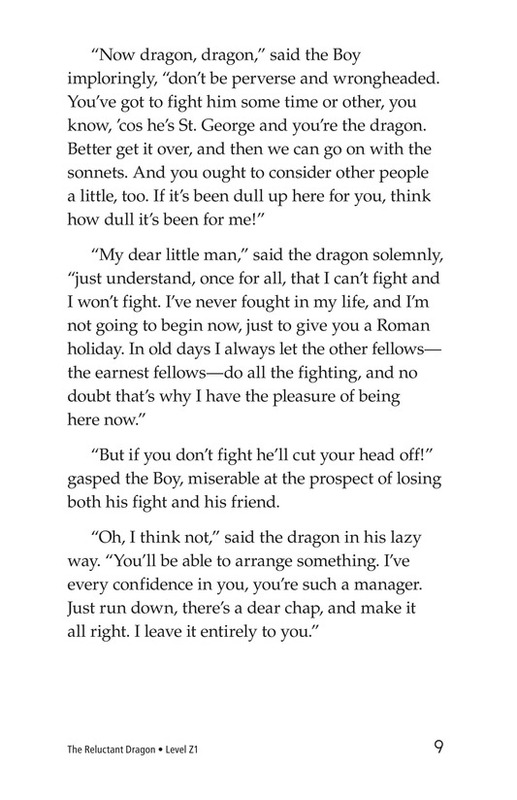 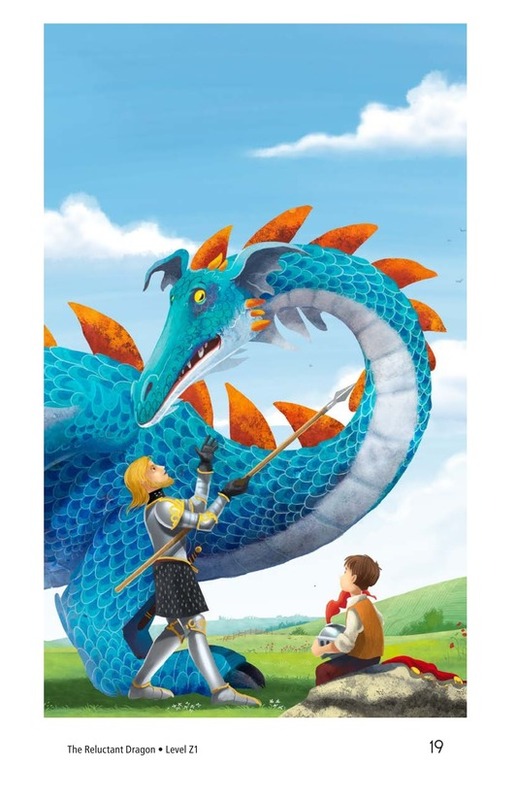 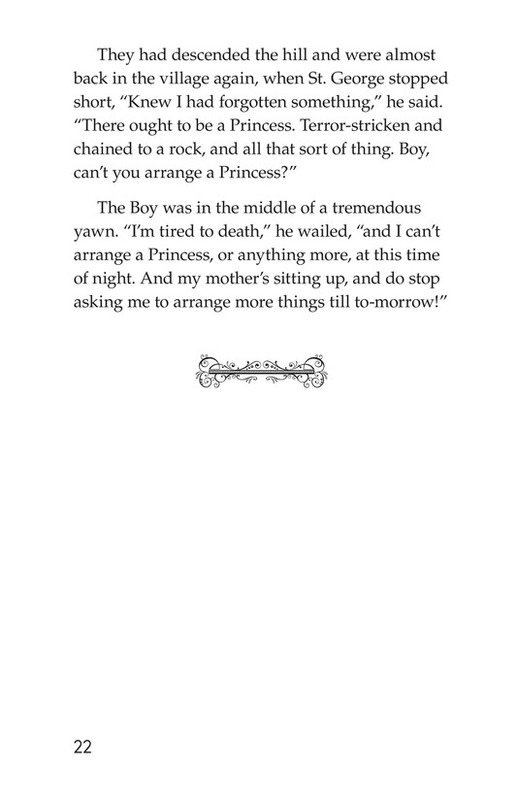 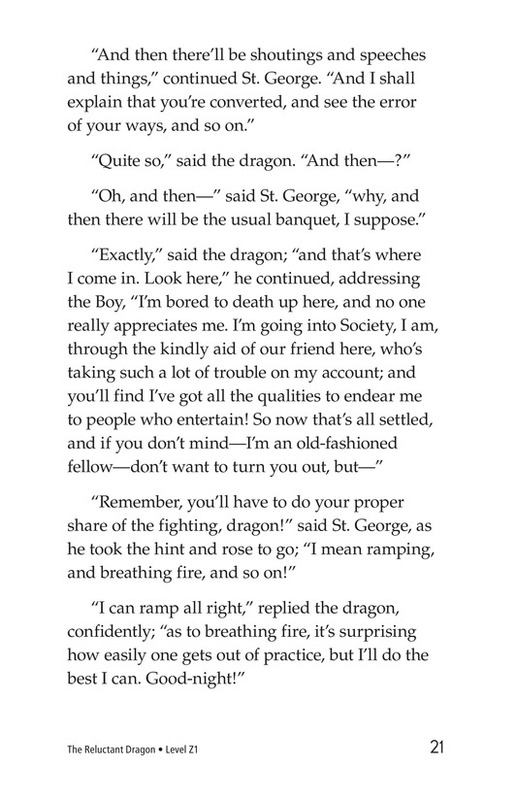 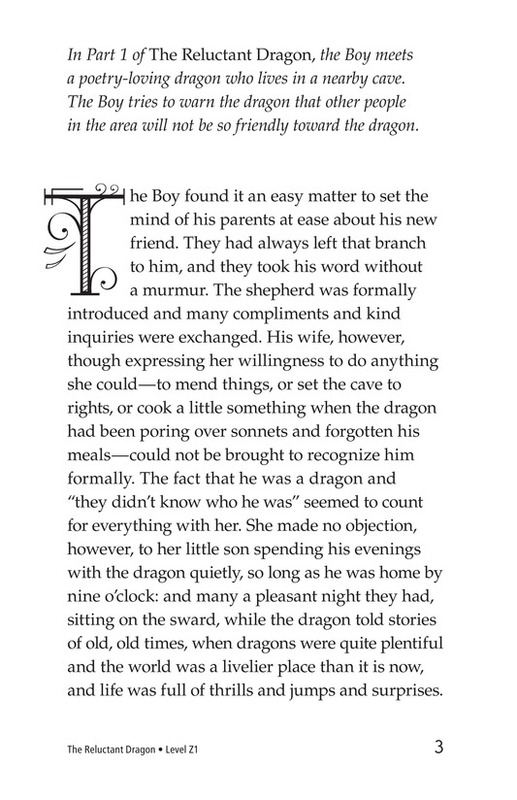 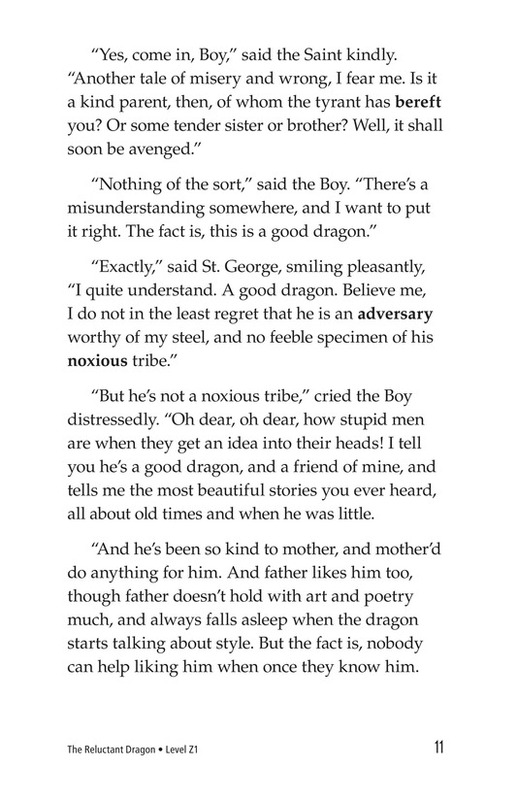 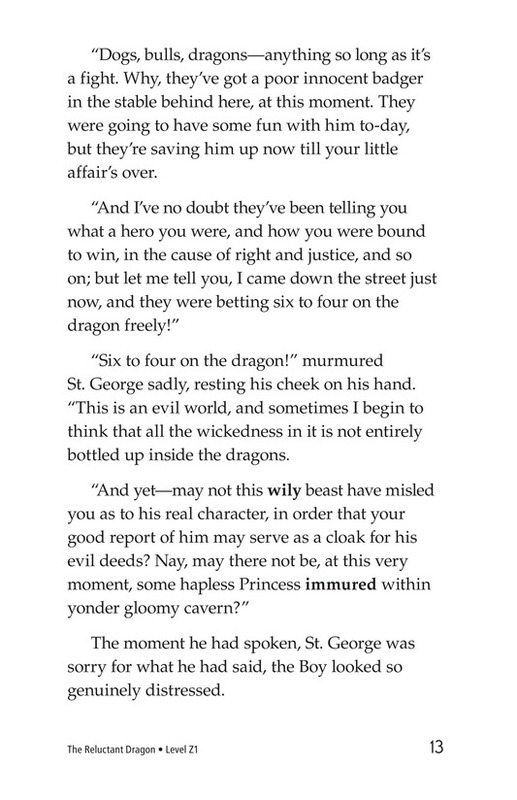 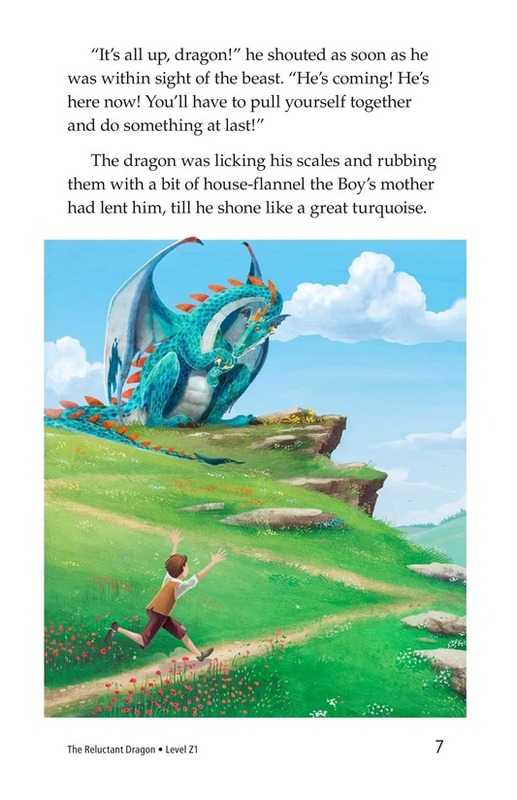 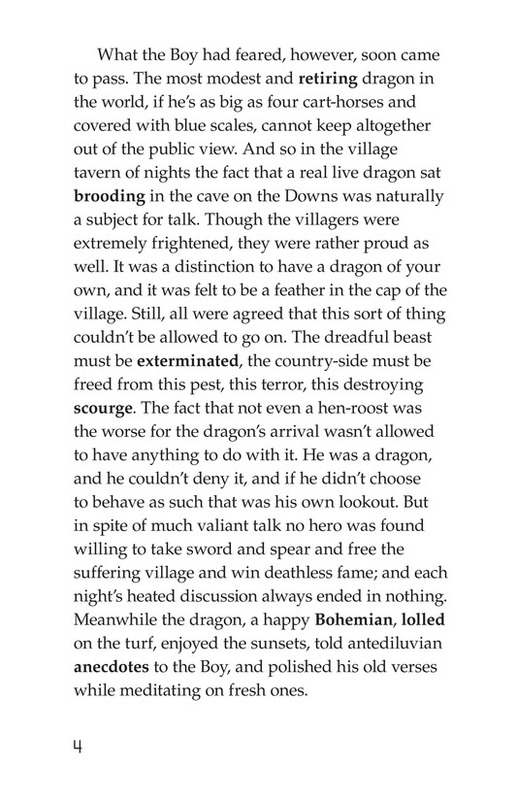 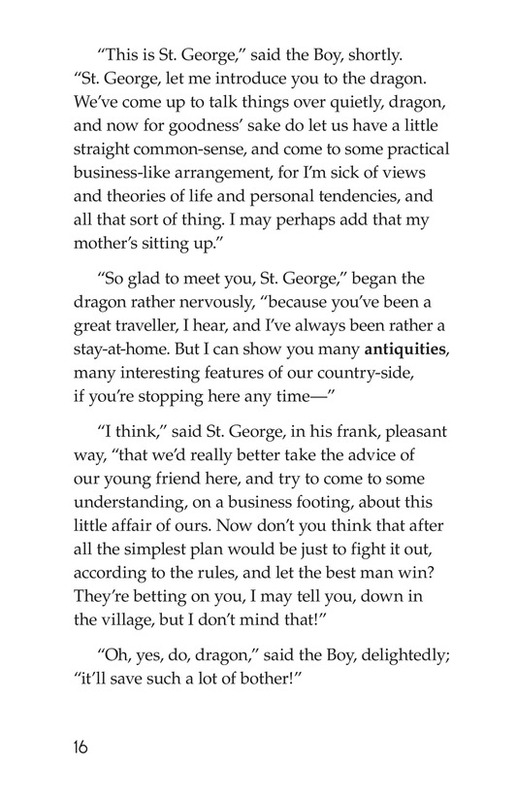 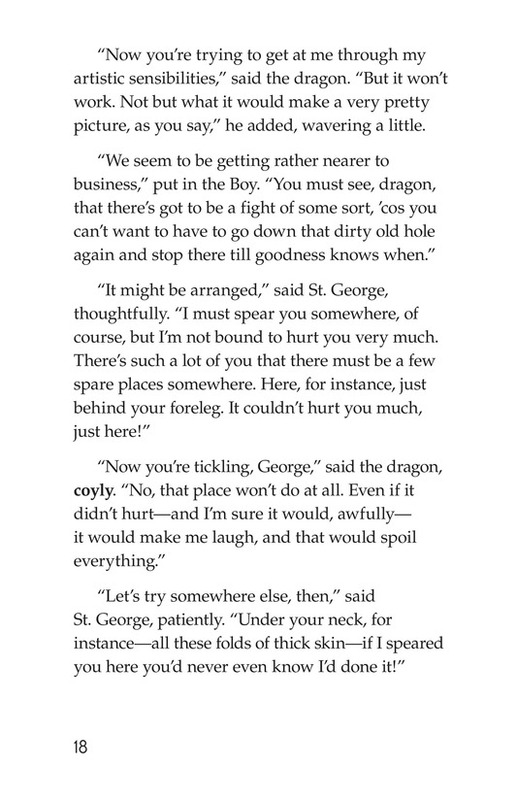 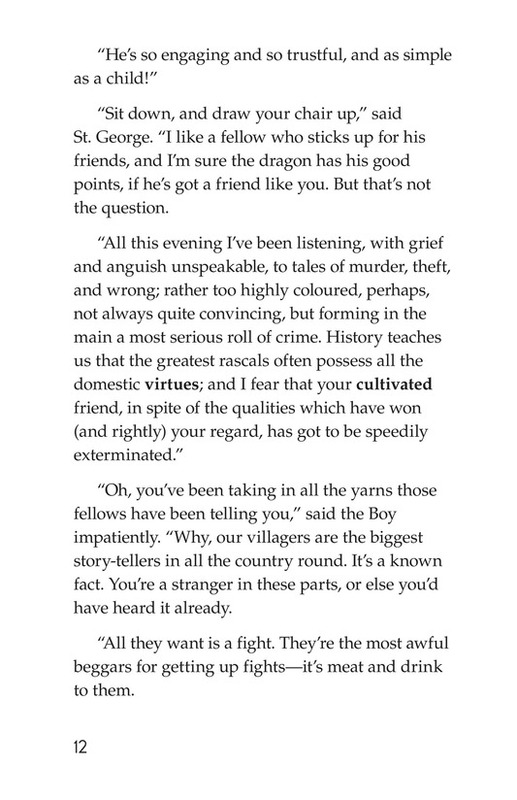 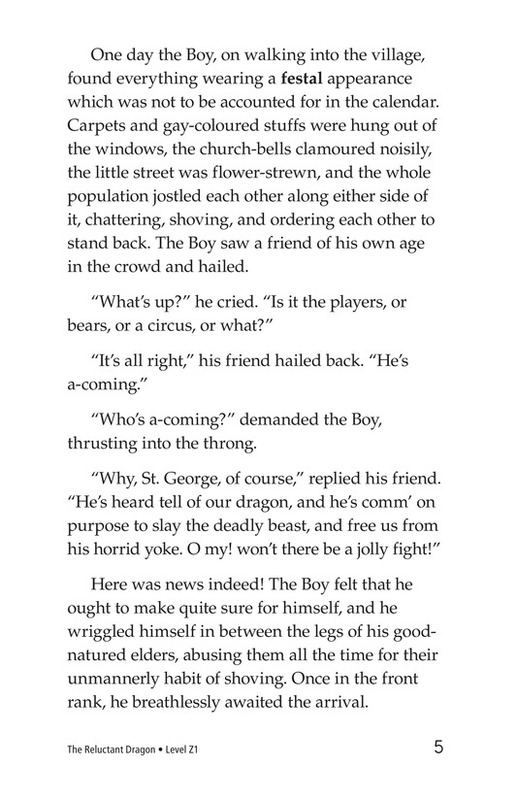 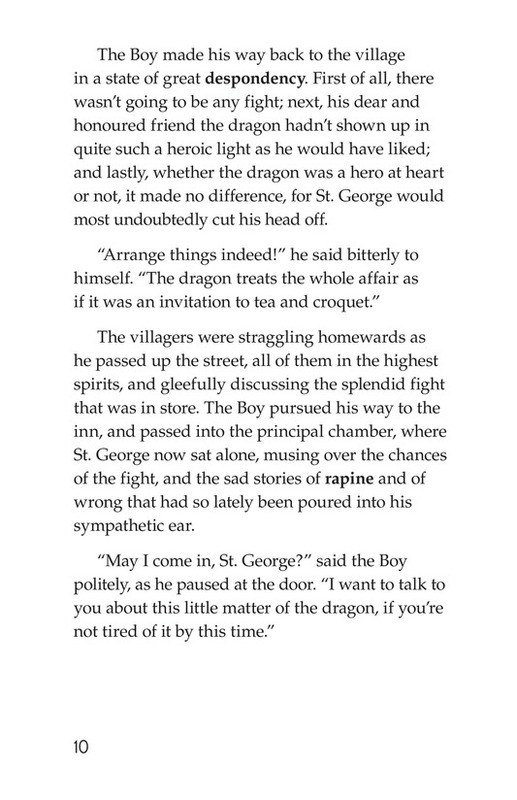 So the boy goes to St. George and tells him that the dragon is not as horrible as the villagers have made it sound. 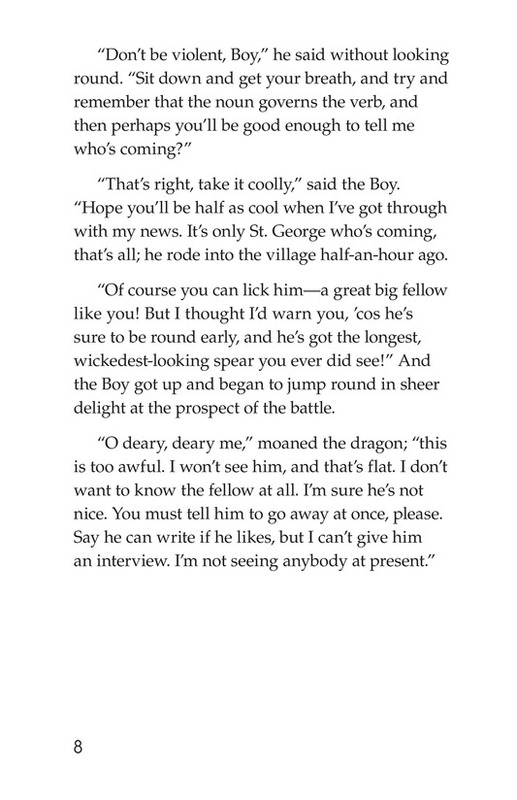 Rather, the dragon is friendly and peaceful. 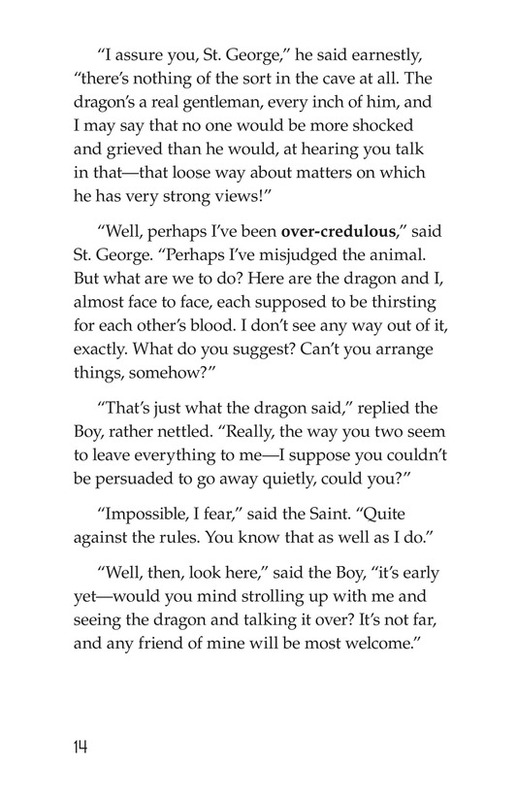 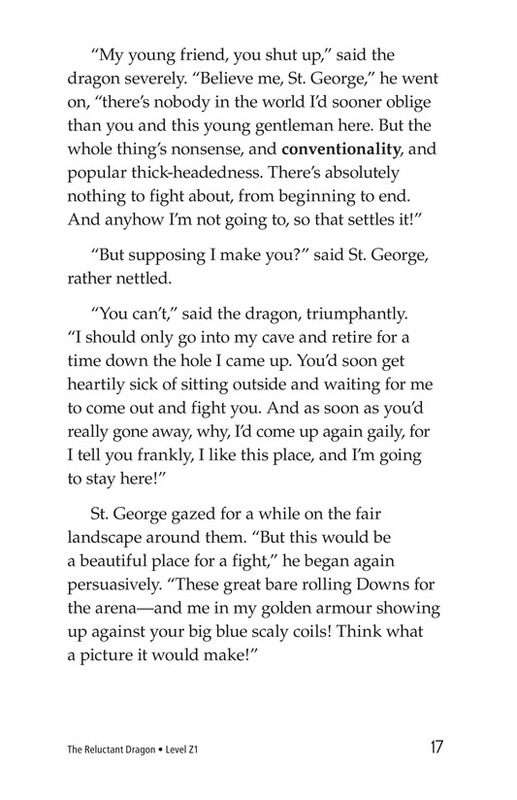 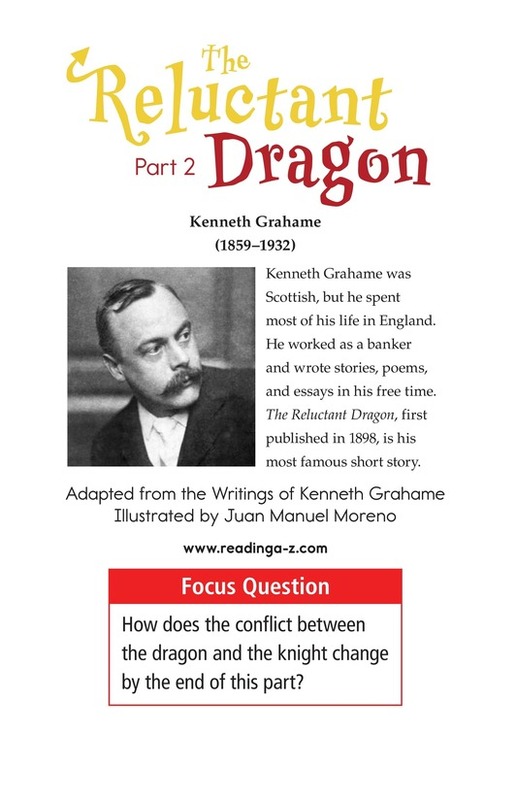 St. George agrees to meet with the dragon to come up with a plan for their fight.